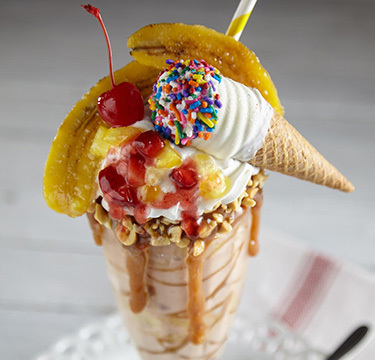 Banana split ice cream blended with strawberries and pineapple and served in a caramel-peanut rimmed glass, topped with plenty of whipped cream, fresh strawberries and pineapple, a brûléed banana and a maraschino cherry. Place ice cream and milk into blender; blend until smooth. Rim 16 oz pint glass with caramel and chopped peanuts. 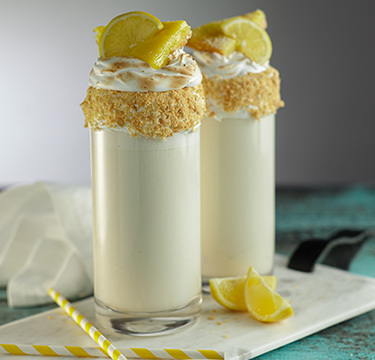 Place split banana on top of glass; fill glass with milkshake, alternating layers of milkshake and crushed pineapple. Top cup with whipped cream and sliced strawberries. Drizzle with chocolate, strawberry, and pineapple sauces. Finish with cherry on top. 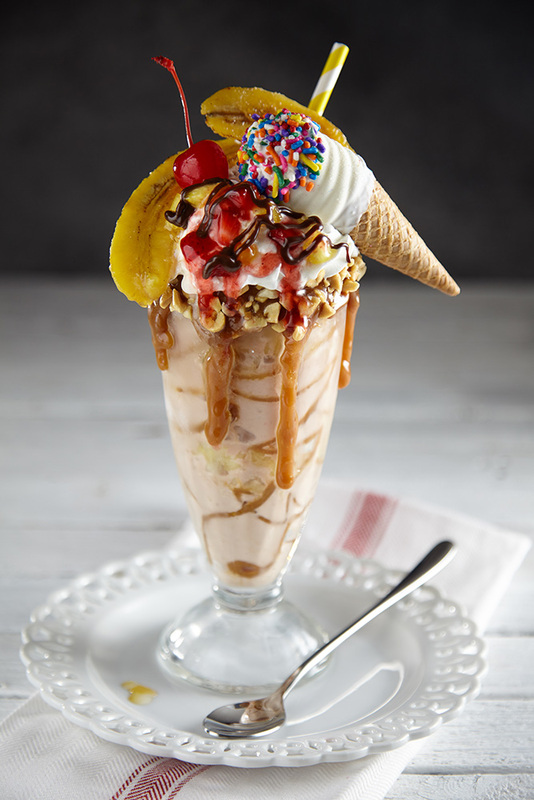 You can use a regular sized banana split lengthwise and then in half instead of a mini. To brûlée the banana, dip the cut side into granulated sugar and caramelize with a torch or under a broiler. A Blue Bunny Mini Swirls Ice Cream Cone can be added as additional garnish.